Roberson Legal – Page 2 – Legal Advice and Counsel that is Personal, Diligent, and Responsive. "Legal advice and counsel that is personal, diligent, and responsive." "I fight for individuals' rights to live, work, and raise their families openly and without fear of deportation, abuse, or exploitation." "Nothing is more important than one’s freedom. I am fully prepared to work with you to protect your ability to live and work in the United States." "I am passionate about helping the community and those who reside in it." Contact Zach Roberson for guidance on issues pertaining to deportation and removal, immigration detention, alien criminal defense, the Board of Immigration Appeals, deportable offenses, denial of immigration benefits, asylum and refugee status, abused spouse petitions (VAWA), PERM Labor Certification, work permits, naturalization, alien victims of crimes applications (U-visas), visitor and non-immigrant visas, green cards and immigration visas, and immigration appeals. A large part of my practice focuses on immigration defense and advocacy. Whether you need assistance with a family-based petition, naturalization application, asylum application, or removal/deportation action, I am fully prepared to work with you to protect your ability to live and work in the United States. Nothing is more important than one’s freedom. I will work closely with you to make sure that your rights and freedoms are protected. Have more questions? Zach Roberson is a Kansas immigration and criminal defense attorney. 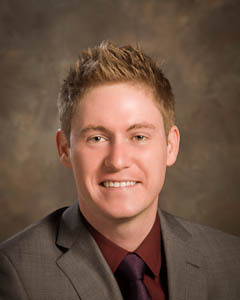 Zach earned a Bachelor of Business Administration from Texas Tech University and a Master of Business Administration from Wayland Baptist University. While earning these degrees, Zach was active in several charitable student groups, including Phi Sigma Beta and Focus Lubbock. Zach went on to attain a Juris Doctor degree and Tax Law Certificate from The University of Kansas School of Law. After graduating from law school, Zach accepted a Pro Bono Attorney position at DMRS of El Paso, where he helped clients in need with Naturalization, Asylum, and Cancellation of Removal cases. Since opening his practice in Olathe, Zach has helped many individuals navigate the often complex legal system to successfully attain their Green Card, US Visa or US Citizenship and has provided professional legal representation for his clients in immigration court.